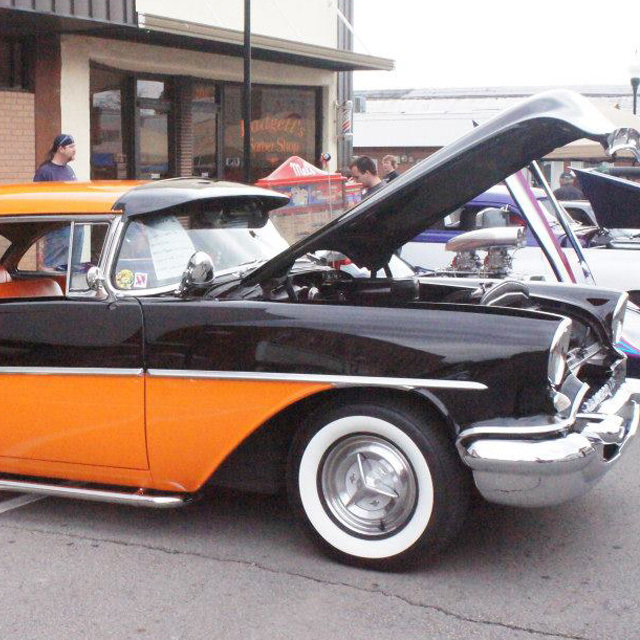 Sallisaw Main Street & The Sallisaw Chamber of Commerce’s Annual Cruizin’ 64 Car Show and Blues Fest. We will serving Indian Tacos all day Friday beginning at 11am. The Carnival will be on Thursday, Friday and Saturday. On Saturday we also have a car show, chili cookoff, pop-up shops, food vendors and more. Our Blues Fest will begin that evening followed by Cruise Night on Saturday Night. To register for a pop-up shop call the Chamber of Commerce at 918.775.2558. 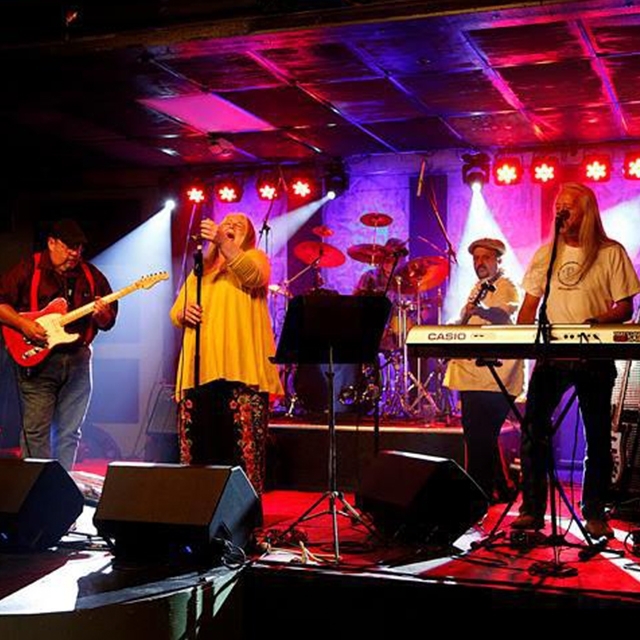 Our live music will begin at 6pm with the Hi-Fi Hillbillies and then Wanda Watson at 8pm. Our annual Car Show starts at 8am and goes till 2pm. Awards are handed out at around 2:30pm followed that evening by a Cruise Night. Thursday Night Local Cruizin 64 BBQ & Band Fest Select the event you are registering for. How many booth spaces do you need? Yes No Will you need a 110 Electrical Hookup? Yes No There are no 220 hookups. Describe the type of booth you will use. Please describe in detail what you will be selling along with any important details. Any food vendor MUST be specifically noted above and approved in advance. Please put the name on the Credit Card you will be paying with here. Vendor does hereby hold harmless Sallisaw Main Street, Inc. and all event sponsors in conjunction with this event from any loss, damage, injury, claims, causes of action, theft, or payment resulting from direct or indirect participation in this event, including but not limited to the cost of defending any said claims or cause of action including attorney's fees. Said vendor does hereby agree to obey all applicable Federal and State laws and local ordinances during it's participation directly or indirectly in this event to include the payment of required sales tax (if any). Contestant does hereby hold harmless Sallisaw Main Street, Inc. and all event sponsors in conjunction with this event from any loss, damage, injury, claims, causes of action, theft, or payment resulting from direct or indirect participation in this event, including but not limited to the cost of defending any said claims or cause of action including attorney's fees. Said contestant does hereby agree to obey all applicable Federal and State laws and local ordinances during it's participation directly or indirectly in this event to include the payment of required sales tax (if any). Food Vendor	Non-Food Vendor - FREE	Chili Contestant - FREE	Car Show Contestant - $20	 Let us know what you are registering for. Food Vendor	BBQ Contestant - $50	Band Registration - FREE	Non-Food Vendor - FREE	 Let us know what you are registering for. Food Vendor - FREE	Pop-Up Shop - FREE	 Let us know what you are registering for. Yes	 No	 Will you need a 110 Electrical Hookup? Yes	 No	 There are no 220 hookups. Credit Card	 Check by Mail	 Cash at Registration	 Car Show Registration Fee is $20. Please let us know how you will be paying. Credit Card	 Check by Mail	 Cash at Registration	 BBQ Contestant Fee is $50. Please let us know how you will be paying. Give us a creative name for your Finger Lickin' BBQ recipe. Give us a Creative Name for your Chili Recipe. Give us a description of what all work you have done to your car along with any awards or accomplishments. Give us a description of your barbecue and what people can expect when they eat it. Tell us what awards you have won with your recipe. Give us a description of your chili and what people can expect when they eat it. Tell us what awards you have won with your recipe. Give us a description of your music and what people can expect.